Home » News and More » What is the Difference Between a Culinary Arts Certificate vs. a Degree? What is the Difference Between a Culinary Arts Certificate vs. a Degree? Decisions, decisions. A student considering culinary education options today has more choices than ever to prepare for a far-reaching, increasingly diverse food world. 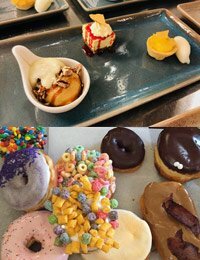 At The Culinary Institute of America (CIA), we’re all about choices. And today, we’re spotlighting two credentials that, although different in many ways, seems to invite the most comparison. So, what’s the difference between a certificate and degree in culinary arts? Which one is best for your needs, and what outcomes can you expect from each? There’s a pretty clear distinction when comparing culinary arts certificate vs. degree curricula. One trains you in a single topic, while the other educates you in a whole host of subjects, all focused on food. Most food-related certificate programs emphasize a specific subject—i.e., wines, cooking—and train you exclusively in that subject. 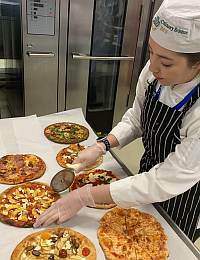 Meanwhile, a CIA associate degree program will expand your knowledge not only in cooking techniques, but in food costs, business principles, hospitality, wines, baking and pastry, product development, global cuisines, and much more. Whether associate or bachelor’s, a CIA college degree provides a more well-rounded and comprehensive education than any certificate program ever could. How long does each take? It depends. The typical culinary arts certificate curriculum can be completed in one or two semesters, but you’ll have to check each school’s website for the specifics. An associate degree in culinary arts normally requires two years of study—although it’s less at the CIA, about 19 months. And with industry experience, you can even earn a CIA associate degree in as little as 15 months! Even if it does take longer to get a degree than a certificate, most food business employers will tell you having that college diploma in culinary arts in hand—especially one from the CIA—gives you a decided advantage over your certificate-holding peers when it comes to advancement and leadership positions. So the extra time invested is well-spent. Where can each one take you once you’ve completed it? 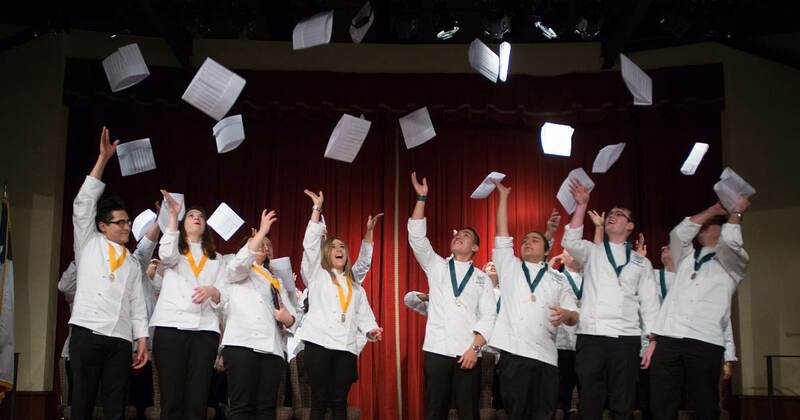 A culinary arts certificate program graduate pretty much has two avenues: seek a job in that particular field of study or move on to pursue an associate degree. Some professionals already working in the industry do decide to add a culinary certificate to their existing experience/credentials in the hopes of advancing their careers. But if you’re really serious about your academic path—and your future—it makes a lot of sense to just go after that degree in the first place. They can transfer their credits to earn higher degrees such as bachelor’s or master’s—and the transition directly into the CIA’s bachelor’s programs is seamless. 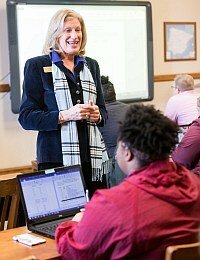 They have a greater variety of educational experiences such as internships, real-world practice in on-campus public restaurants, and vibrant liberal arts studies. They generally have more career opportunities—hiring companies know CIA graduates have a broader knowledge base and more experience. The college’s unmatched reputation in the industry means “CIA” on your résumé moves it right to the top of the pile. What’s the value of each credential? This may be the key question when comparing culinary arts certificates vs. degrees. To discover the answer, here’s another question to ask yourself: When you go out into the industry with your credential in hand, do you want a job…or do you want a career? The importance of formal education in today’s business world has changed. Master’s is the new bachelor’s, bachelor’s in the new associate, and so on. The idea that you’ll earn a certificate quicker and get into the workforce faster might initially have appeal, but think ahead a little and make sure you have all the information you need. Be careful—some schools may even charge more per semester for a culinary arts certificate (or so-called “diploma”) program than you would pay for a CIA associate degree. So you’re essentially paying more to get less! Culinary arts certificates are certainly appropriate for some people with specific goals in mind. But if you want more, don’t be surprised if you eventually hit that career ceiling and find yourself wanting to go back to college for that culinary arts degree. The true value of a CIA degree is in the greater opportunities it provides over the course of your career. The only definitive conclusion you can draw from all of this is that the path you choose is entirely up to you—your needs, your preferences, your goals, your future. So go ahead, make the comparison between a culinary arts certificate vs. a degree. And if you want to enjoy a food career filled with opportunity and success, you’d do well to choose a culinary art degree from the CIA. 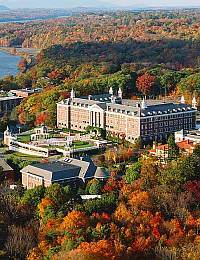 « 5 Tips to Make the Most of Your Culinary Institute of America Visit	» A bASH of a Good Time!